hd00:27Female hands breaking an egg and separating yolk from white. 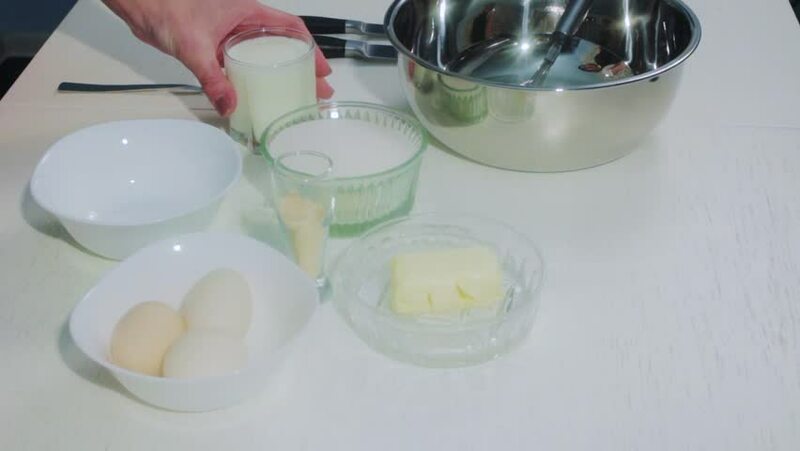 hd00:17A woman adds flour and sugar to a container of melted butter. Begin to knead the dough for cooking cakes.